See for yourself how the top secret base – target for conspiracy theories and inspiration for sci-fi films - has developed over the last 33 years. Area 51 – the high-security US Air Force base located in Nevada - is shrouded in mystery and has become the focus of conspiracy theorists the world over. Whatever happens within its barbed-wire fences, one thing is now pretty certain - those working on the military complex have been very busy in the last 33 years. Google Earth’s Timelapse feature has provided a glimpse of what’s been going on from above since 1984 and the obvious answer is growth. Try it for yourself by clicking below the play button in the left hand corner. The feature, which can be used over just about anywhere in the world, shows a year-by-year aerial snapshot from 1984 right up until the present day. A second runway, as well as improvements on the first to make it wider and longer, are among the obvious changes to be carried out at the military testing facility. Buildings have also steadily grown in size and number it would seem, particularly towards the northern end of the site. Meanwhile, engineers have clearly been edging closer into the mountain which sits to the west. Area 51 is strictly off limits, with armed guards surrounding the complex and a 23-by-25-mile no-fly zone for all civilian aircraft. The new version of Timelapse has added four years of imagery and data and focuses on a range of what the tech giant calls “compelling locations” that showcase how both the natural and man-made features of the planet have changed since 1984. 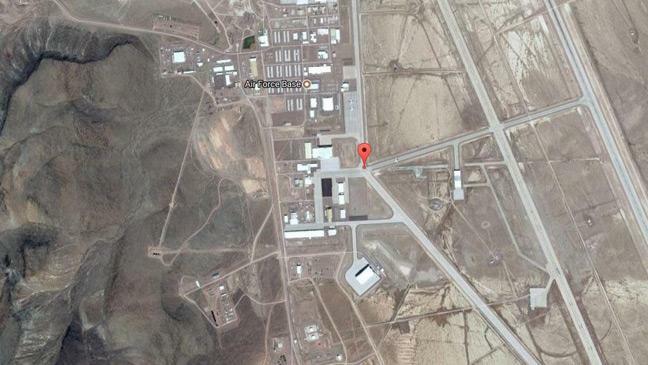 Area 51 can be seen on Google Earth by entering the co-ordinates 37°14'06.0"N 115°48'40.0"W.